Floyd Mayweather Jr., with Hublot on his boxing shorts, will duke it out in Vegas with Conor McGregor. Swiss watch brand Hublot once again teams with Floyd Mayweather Jr. as he returns to the ring tomorrow night in Las Vegas to face up against Conor McGregor. 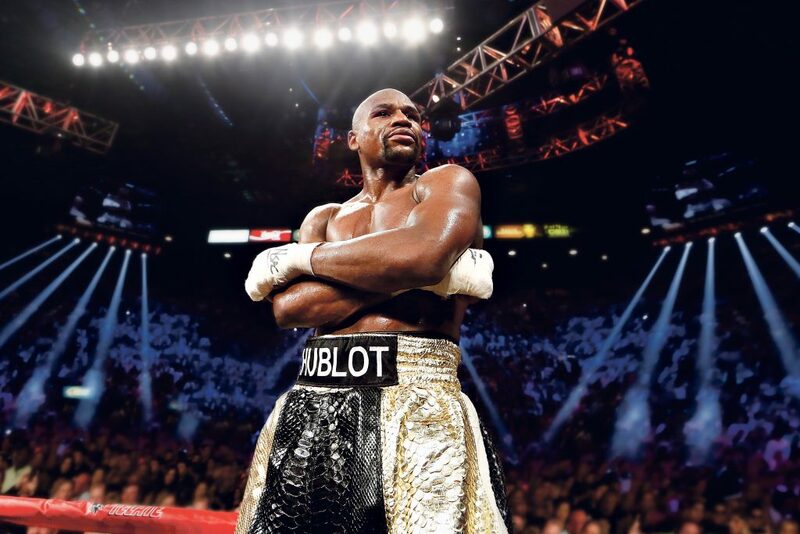 Mayweather will be sporting a huge Hublot logo across the waist of his boxing trunks when he steps into the ring for The Money Fight, much like he did in his 2015 “Fight of the Century” when he beat Manny Pacquiao. Mayweather is a five-division world champion and has won titles in four weight categories. Hublot Big Bang jewelry watch emulates the bold look of Floyd Mayweather Jr.
“Once again, we have the great honor to partner with a true living legend, Floyd Mayweather, ‘The Best Ever,’ for what is sure to be the ‘Fight of the Millennium.’ In line with Hublot’s ‘First, Different, Unique’ brand ethos, Mayweather previously never had a brand adorn his boxing shorts until our ‘knockout’ partnership in 2015,” says Ricardo Guadalupe, CEO of Hublot. 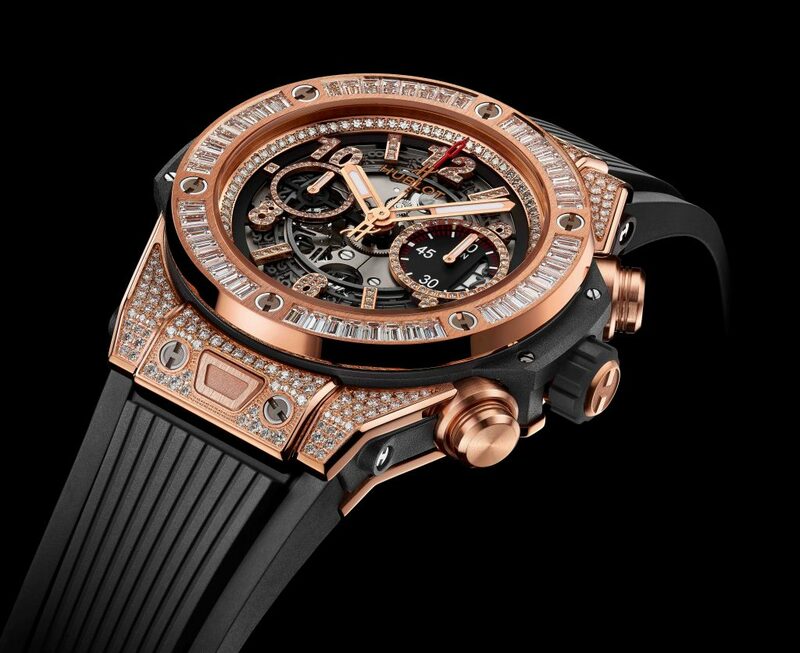 The boxer also wears a Big Bang Unico King Gold Jewelry watch with Hublot’s in-house manufacture movement. A play from the Rolex playbook…which many are doing now. I don’t particularly care for the brand based on personal taste. I do however, find it interesting on how the branding promotion is being done in this case.